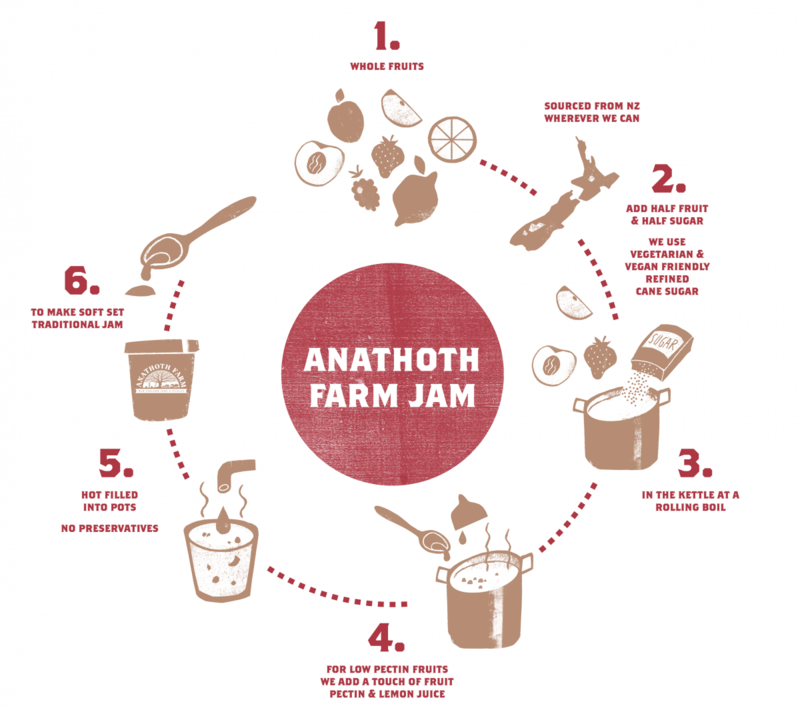 It all started about 30 years ago on the Anathoth Farm where jams were made in simple plastic pots and sold at the local market. The locals loved the big, bold, real fruit flavours and kept coming back for more. We still make our jams with a traditional rolling boil, just like home-made, with the same kiwi pride. Just like homemade – with all the frustrations! Just like home preservers, we use roughly half fruit and half sugar to make our soft set jam. Just like home preservers, we also feel the frustration of seasonal fruit variation when our jam doesn’t set up like we thought! The result can be jam that is considered too runny or at times too firm in the set. For many years most of our customers have accepted variation in texture and consistency, but after years of letters, phone calls and emails, we’ve decided to tweak our recipe and add fruit pectin (and some lemon juice) to improve the set and quality of our jam. 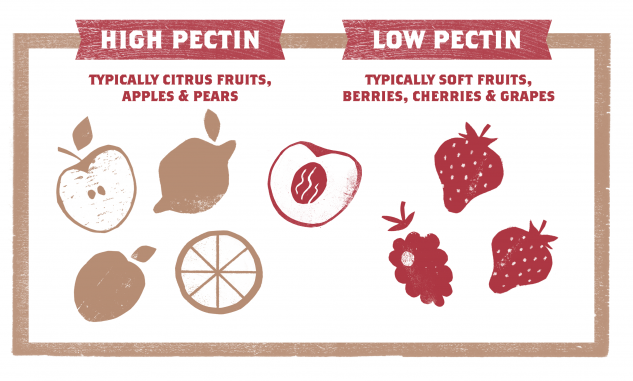 We’ve only made these changes to the fruits that need it; mostly low pectin fruits. We’ve started adding fruit pectin (and sometimes lemon juice) into some of our jams to improve the quality. We declare it on the back of each pot. 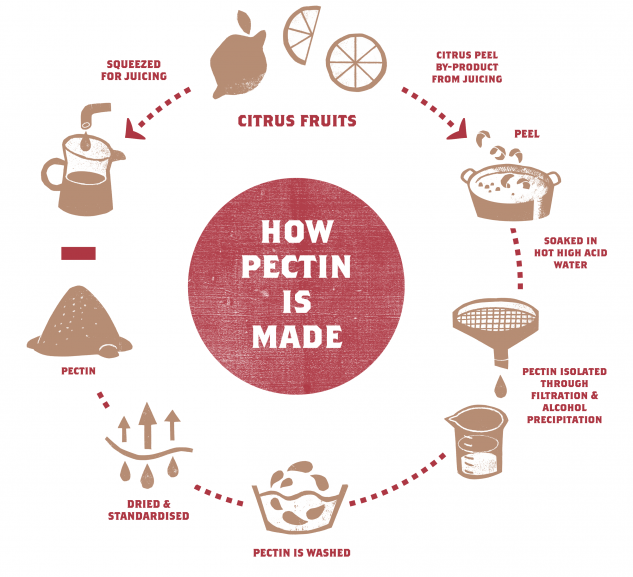 Pectin is naturally present in all fruits at varying levels. For jam making, high pectin fruits tend to make ‘firm set’ jam and low pectin fruits can make ‘runny’ jam and can have problems ‘setting up’. We have identified that the following flavours need a little help from the addition of fruit pectin and sometimes lemon juice; Strawberry Jam, Three Berry, Boysenberry and Apricot. Traditional jam makers can extract their own pectin by boiling apples or lemons. In our commercial jam making environment we opt for using a powdered fruit pectin. This is similar to ‘jam setting’ sugar that home preservers can purchase from the supermarket. In the same way that we have chosen to add fruit pectin to achieve the best set in some of our jams, similarly we are starting to add citrus fibre in Breakfast Marmalade and Marmalade with Ginger. The citrus fibre is also a by-product of the orange fruit juice process. Once the juice is squeezed there is some fruit pulp left behind. The pulp is then dried and processed using mechanical means (ie drying and milling) to produce the citrus fibre. This process uses no chemicals – it is a physical process only. Citrus fibre contains 65-70 % total fibre. The fibre also includes the pectin naturally present in the fruit.